Arizon Building Systems make for perfect distribution centers. Whereas traditional steel clad or brick and mortar buildings are expensive and can take months to construct, Arizon’s air-supported buildings can offer the same square footage at a price that is often just half the cost of a comparable steel clad building. 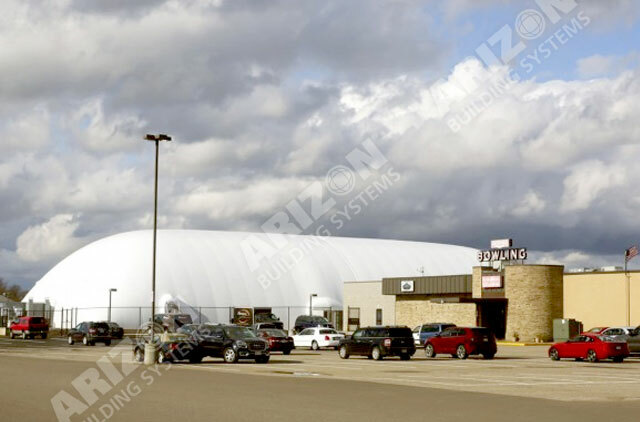 Arizon’s fabric buildings can resist winds of up to 165 mph and can withstand snow loads of up to 50 lbs per square foot. These buildings also qualify for accelerated depreciation and property tax exemptions.